Today, there are forms of anti-Zionism that demonise Israel and fuel hate, from the academic theory of Judith Butler and Gianni Vattimo to the historiography of Shlomo Sand, from the popular street phenomenon of the “quenelle” to the ugly rise of “Holocaust inversion”. To link Butler, Vattimo and Sand to fascist gestures like the quenelle is a lazy and offensive manoeuvre. I leave the other scholars he mentions to those who know their work better than me: Johnson presumably has this interview with Vattimo in his sights, which is indeed reprehensible though scarcely representative of his corpus as a whole, but Sand is a distinguished historian whose counter-narrative to Zionism cannot be gratuitously dismissed, even if Johnson and his friends at the British Israel Communications and Research Centre don’t like it. But to suggest that ‘the academic theory of Judith Butler‘ somehow ‘demonises Israel and fuel[s] hate’ is intellectually vacuous. What part of her ‘theory’ does Johnson have in mind? Her work on gender and subjectivity? Her discussions of performativity? Her careful, ethical arguments about what constitutes a ‘grievable life’ in Precarious lives and Frames of war? “My feelings pale into insignificance compared to the enormity of the tragedy confronting each and every other person in Gaza at this time. This is a perfect expression of what Butler has in mind, and urges us to have in mind. There’s no ‘hate’ there, and there isn’t in Butler’s work either: just a caring expression for grievable lives so cruelly lost. What Butler has provided, on several occasions, is a thoughtful, measured critique of political Zionism and of the policies and practices of successive Israeli governments that have diminished, dispossessed and, yes, demonised the Palestinian people (see a previous, brief post here). I suspect Johnson would see this as the work of a ‘self-hating Jew’, an old canard, but what then would her critics accept as a legitimate criticism of Israel? And if we have to resurrect that line of argument, might not actions like the shelling of a school crowded with refugees be the work of a self-demonising state? 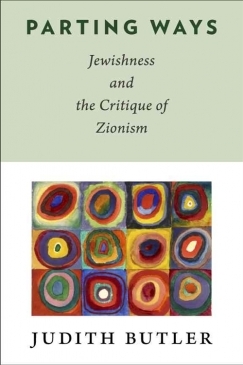 Butler’s reflections have been brought together in her Parting ways: Jewishness and the critique of Zionism (2012), which is a principled statement of an oppositional – not defamatory – ethics and politics. As it happens, Society and Space has just published an exceptionally thoughtful review of the book by Lisa Bhungalia which explicitly connects Butler’s vision of ‘co-habitation‘, which Butler sees as not only consistent with but arising from an indelibly Jewish tradition, to the latest Israeli attack on Gaza (where her sharpening of the concept of precarity is also surely crucial: see also ‘Precarious life and the obligations of cohabitation’, a lecture Butler delivered at Stockholm’s Nobel Museum in May 2011: you can download it here). Words understandably failed Chris Gunness this week. And when a Jewish scholar who works so respectfully with the writings of Hannah Arendt, Walter Benjamin, Martin Buber, Primo Levi and Emmanuel Levinas is accused of ‘fuelling hate’ and so egregiously linked to the rise of popular fascism then all possibility of critical engagement seems lost. And yet. 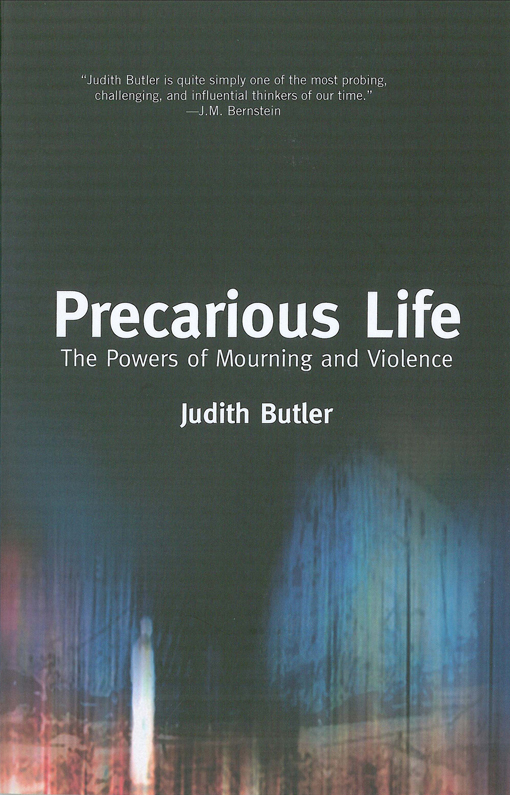 Butler talks about being critical as being ‘willing to examine what we sometimes presuppose in our way of thinking, and that gets in the way of making a more livable world.’ She has done precisely that in Parting ways. Perhaps Professor Johnson, instead of recycling the hasbara formularies of the Israeli military, might do the same. 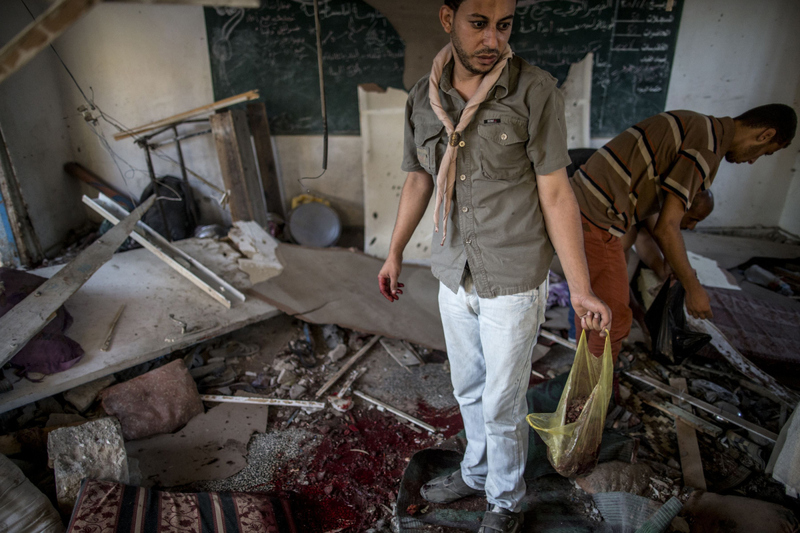 This entry was posted in books, casualties, ethics, Israel/Palestine and tagged Chris Gunness, cohabitation, Gaza, Judith Butler, Lisa Bhungalia, precarity, Zionism by Derek Gregory. Bookmark the permalink.